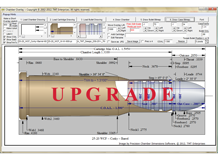 Cast Bullet Design ~ Ultimate, version 5 is a companion module to your existing Cast Bullet Design software. 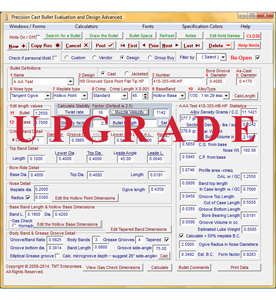 This installation does not upgrade Cast Bullet Design ~ Basic, Advanced or Professional installations. 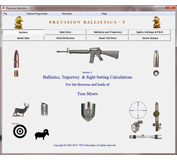 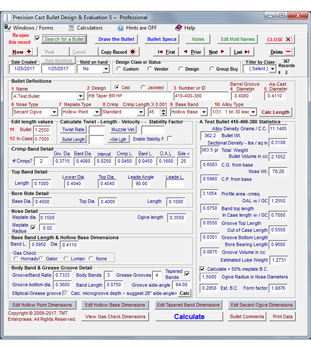 The Cast Bullet Ultimate uses pre-determined parameters to design a bullet using values stored in retreivable firearm chamber and cartridge databases and then uses your existing Cast Bullet Design software to draw, dislpay and edit the bullet design. 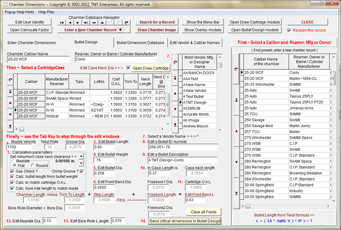 A cartridge dimension database and drawing module. 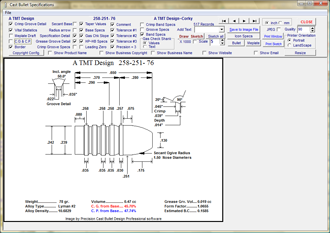 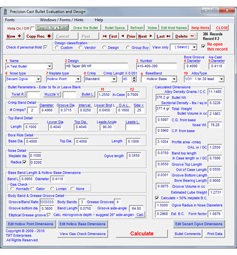 A chamber dimension database, and drawing module and a process that will calculate an optimum bullet design to fit the chamber / cartridge combination. 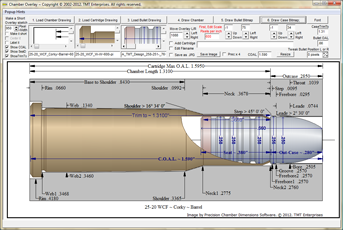 The calculated bullet design dimensions will be exported to the existing Cast Bullet Design ~ Basic, Advanced or Professional software. 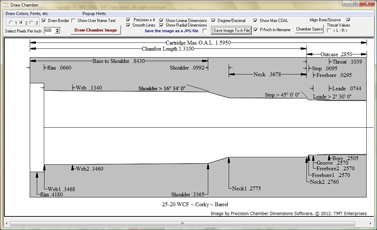 An overlay module will be installed that can retrieve large scale bitmap images of the chamber, cartridge and bullet designs. 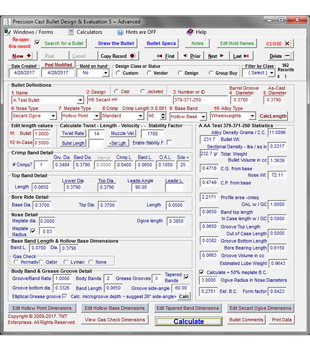 These images are then assembled and overlaid, forming a composite image that may be viewed and / or edited for the final bullet design.